Are you ready for the Hop-To-It challenge this week?! It’s the last challenge of the series (tear) but I’m so glad we are going out with a bang! I am getting so excited about all of the spring and Easter Crafts that keep popping up. It makes this time of year feel so fresh and cheerful. 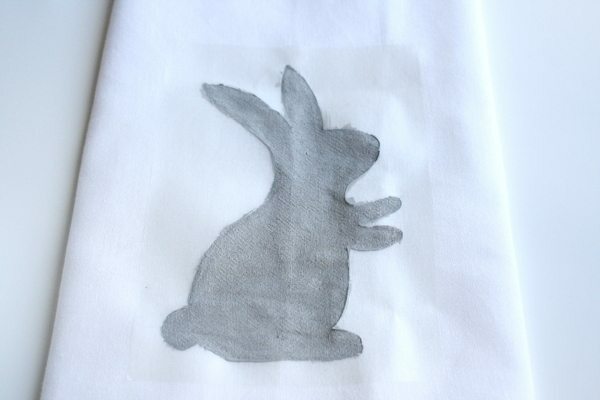 For this week’s challenge, I created Easter Bunny Tea Towels using flour sack towels. Oh they are SO soft! These little towels are perfect for hanging in the kitchen or using for a causal party. I’ve never worked with flour sacks before, but now I am hooked. The minute I stumbled upon them at my local craft store, they instantly reminded me of all my grandma’s dish towels. I love how soft they are, the texture is perfect. 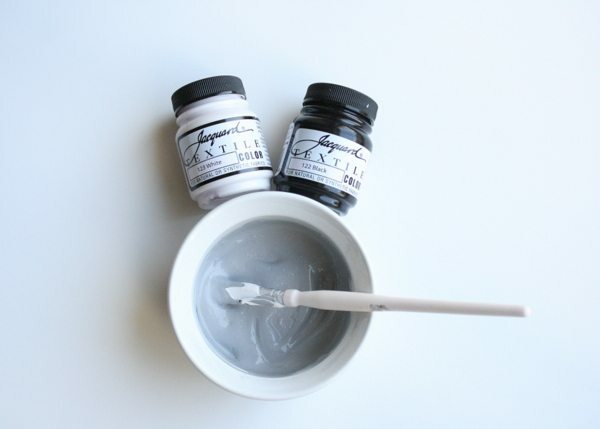 I started by mixing about 3 tablespoons of white paint with one pea size drop of black paint to create a light gray color. Then I placed my vinyl stencil (hard to see in picture) onto the fabric and carefully painted the edges. Then I filled the bunny in. Once the paint was dry I had to go back over a few spots, but the paint in general has great coverage. 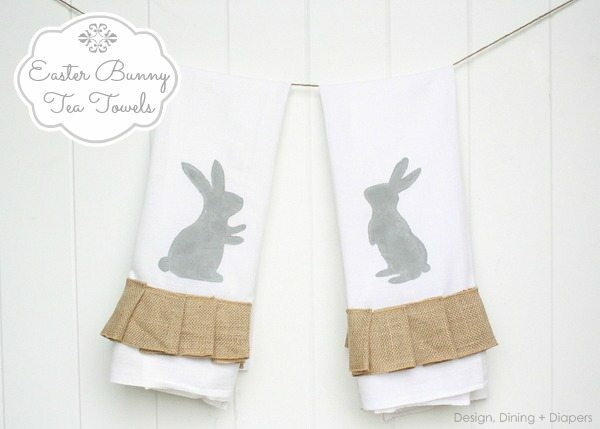 To add a little embellishment to the towels, I added 3″ burlap ribbon and gave it a little ruffled effect. I used ribbon that had wired edges which helped keep the shaped while I pinned. Using a straight stitch to secure the ribbon to the towels and you are done! Could you see these in your kitchen?! Very cute Taryn!! I love the burlap ruffle!! I love that towel! And I love how easy you made it look to sew the ruffle! I’m totally going to pin this! Makes me want to finally start making some Easter projects too. I love it, Taryn!! 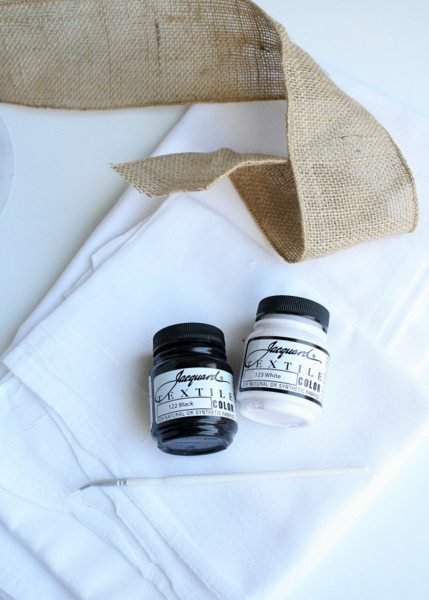 Super cute and easy to do…my kind of project! Very cute! The most adorable tea towel ever! 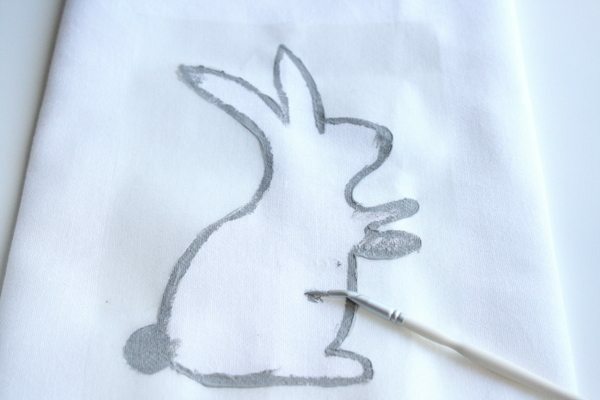 I need to get hopping on a few Easter projects myself (sorry, had to do it!). Super cute! Love it! Thanks so much for sharing tutorial! Would love to have you visit me sometime. Adorable, I need to make a few before Easter! These are absolutely adorable!! We go all out for Easter brunch and I’m still trying to scheme up ideas for this year!! 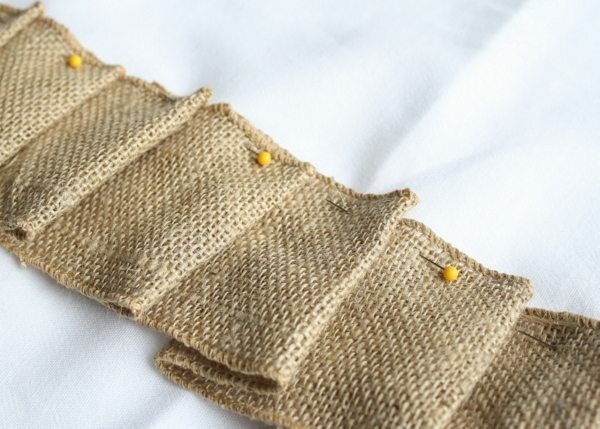 I love these —- just wish I knew how to sew!! Great idea, very creative!! So glad I linked-up…. I found a ton of fun, super crazy creative ideas! Love it! Very caaaauuttte! LoVe LoVe! Time to pin! These are so darn cute! I like the burlap touch for the bottom! Super cute, girl! Love the bunnies! these are just so sweet and cute!! I love them!!! 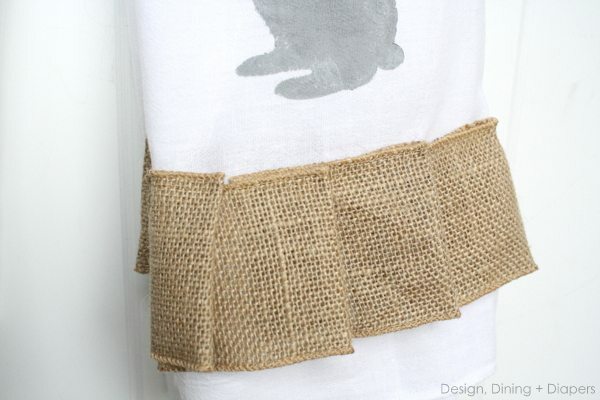 I love the burlap and the bunnies! Pinning this to make (probably next year because I’m not “spring-ready” this year yet). I want to hop over to the store to buy towels and make these right now!! So cute – pinning! So cute Taryn. Love the ruffles. 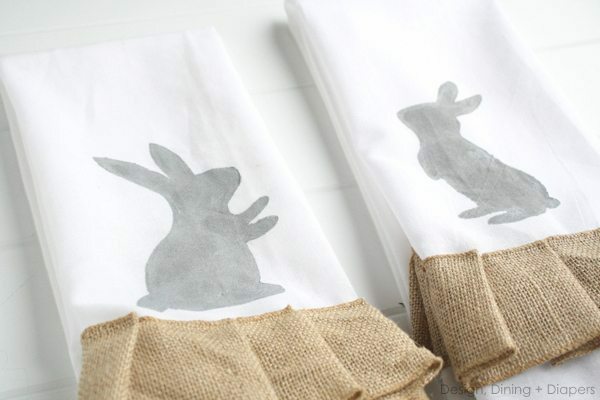 I love these adorable tea towels. Perfect for Easter but I have not worked much with the wired fabric so I have a question. 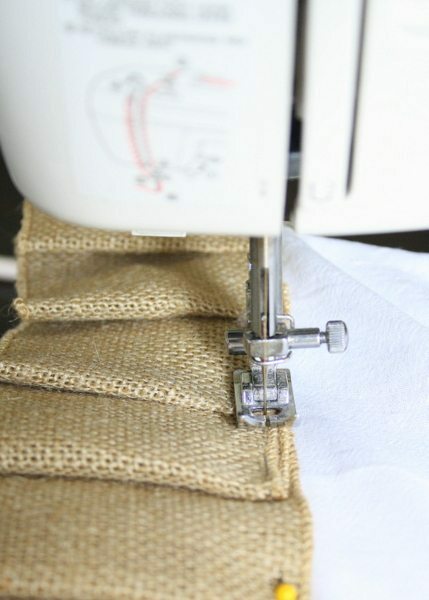 Do you remove the wire after you sew into place? If it stays inside does it cause any problem when laundering? Thank you for your idea and reply!! !